For many of us, pets are family. That's why we can't bear the thought of leaving them behind when we go on vacation. Fortunately, the Smoky Mountains area offers lots of fun ways to frolic with our frisky furbabies. Here are just a few. Does that doggie tail start a-waggin' the moment you mention "walk"? You're in luck. Although dogs are not allowed on the backcountry trails in the Great Smoky Mountains National Park, your pooch is more than welcome on the Park's popular Gatlinburg Trail, just minutes from Gatlinburg, Pigeon Forge, and Sevierville. At 1.9 miles one way, this relatively flat trail provides the perfect moderate workout. You'll start out at the Park's Sugarlands Visitor Center, then trek through dense forest bordering the West Prong of the Little Pigeon River. Along the way, you'll enjoy gorgeous views of the river, cross a picturesque foot bridge, and spot ruins of several old home sites. The trail ends just outside Gatlinburg. In addition, your pet's always welcome at the Park's many picnic areas and parking lots. Just be sure you keep your dog on a 6-foot leash... and have a poop-scoop baggie handy, too! Outside the Park, you can walk your dog along countless scenic roads, including some secluded ones. Dogs are also welcome (on leash) in downtown Gatlinburg and in Pigeon Forge's Patriot Park. Time for din-din? Bring Fido along! The Gatlinburg area boasts a number of eateries that allow pets in their outdoor dining areas. Stop for a foot-long hot dog at Fannie Farkles in downtown Gatlinburg. Enjoy yummy sweets & treats at the Funnel Cake Company. Dine in comfort on the pet-friendly covered porch at Crystelle Creek Restaurant & Grill. And that's just for starters! Love shopping? 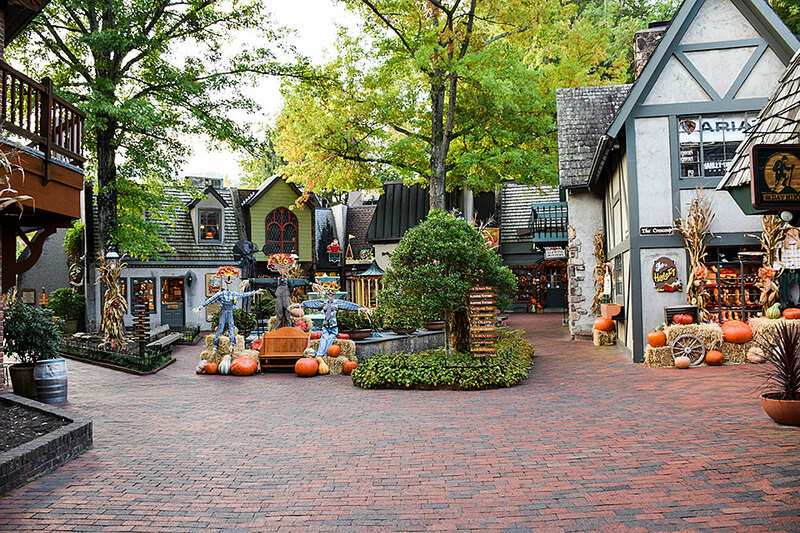 Check out The Village Shops, a scenic open-air shopping center located on the Parkway in downtown Gatlinburg. Your pet will love tagging along as you browse the quaint, unique vendors. Later, you can walk your pet all around the lovely wooded area surrounding The Village. Plus, be sure to check out Gatlinburg's popular Paws & Claws Pet Fashion and Holly and Willows Pet Barn. You'll find adorable pet clothes, delicious treats, the finest pet foods, and much more, all sure to please your furbaby. Up for the view of a lifetime? 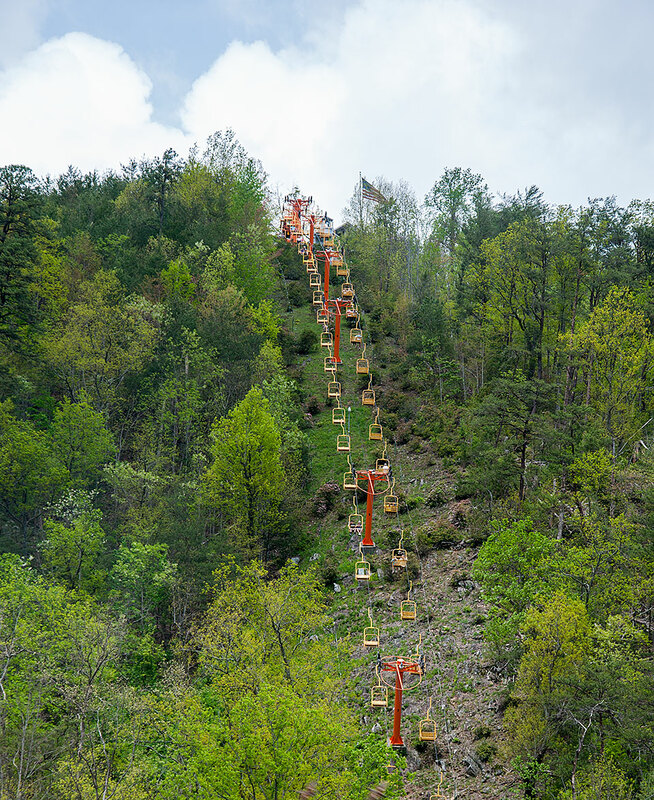 You and your pet can ride together to the top of the mountain on the thrilling Gatlinburg Sky Lift. The lift runs daily year-round from 9 a.m. to 11 p.m. Need a break from 24/7 pet care? Day-board your dog at Dollywood's Doggywood, which offers 12 spacious kennel runs and four cute cottages at reasonable day rates. Plus, check out the numerous groomers, dog walkers, and sitters in the Gatlinburg/Pigeon Forge area. For any vacationing pet owner, the biggest question is always: where to stay? Fortunately, Volunteer Cabin Rentals offers a number of pet-friendly accommodations, ranging from rustic chalets to luxury multi-bedroom cabins…all located here in the scenic Wears Valley just minutes from Gatlinburg and Pigeon Forge. Contact us for more information!